See what to expect from your time with us and get inspired. Healthy and motivated employees trough yoga and meditation at your own company. Adventure or relaxation, the surrounding area offers a variety of summer- and winter activities. 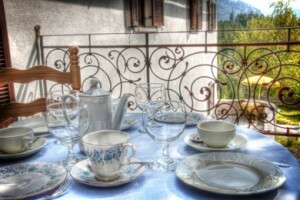 Take a look at the rooms & surroundings of the AlpenRetreat. Let yourself be inspired for your next yoga holiday in the Austrian Alps. Meet the 4 founders of the AlpenRetreat and learn more about their philosophy, motivation and past experience. 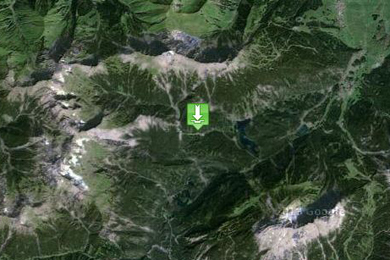 Conveniently located on the Tyrolean Fernpass, you can get to us easily by public transport or by car. Calculate your route or contact us. Healthy and motivated employees trough yoga at your company. Yoga, meditation and relaxation is the best prevention against burn outs and health issues. You are very welcome to use the AlpenRetreat as your base for your adventures in the Tyrolean Alps or just for a relaxing time away from your daily routine! Deeply immerse yourself into the practice of yoga, meditation and spirituality. 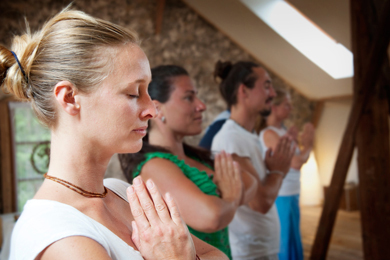 The profound knowledge of our meditation and yoga teachers is at your disposal. Learn techniques and strategies to enhance your calmness, awareness and health. Discover and build your own abilities and talents and enhance the quality of your daily life. Whether you are interested in a individually tailored yoga holiday, a weekend workshop or a deep meditation retreat, the AlpenRetreat team happily assist you the find the right program for your needs. Our offer includes Hatha Yoga, Kriya Yoga, Kundalini Yoga, Pranayama, Vinyasa Yoga, Shakti Dance, Acro Yoga, Vipassana Meditation, Sun Yoga, Business Yoga, Tantra Yoga, Mantra Meditation, detox treatments, massage, spiritual fasting, Yoga TTC (yoga teacher training), Bhakti Yoga, spiritual chanting, Bhajan, Kirtan and more. Located in the heart of the Austrian Alps makes us a great location for both summer and winter sports. 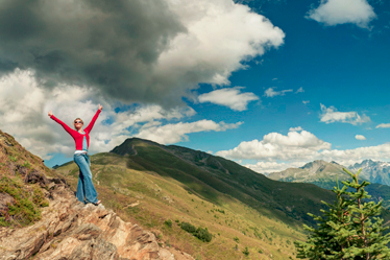 With its breathtaking beauty and unspoiled nature Tirol is the perfect place to take your yoga practice to new highs. AlpenRetreat offers a sanctuary from the stresses of daily life. Healthy vegetarian cuisine go hand in hand with relaxing yoga programs, meditation retreats, beautiful walks in stunning countryside and top-notch treatments.